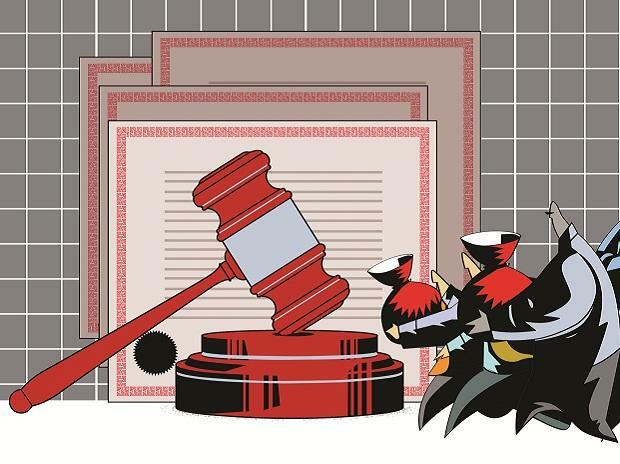 Even one homebuyer can drag an errant builder into the National Company Law Tribunal (NCLT), says the government after an Ordinance promulgated on Wednesday empowered homebuyers to do so. The Ordinance to amend the Insolvency and Bankruptcy Code (IBC), approved by President Ram Nath Kovind two weeks after it was approved by the Cabinet, puts homebuyers on a par with financial creditors. Homebuyers now will be part of the committee of creditors (CoC) in bankruptcy proceedings. Corporate Affairs Secretary Injeti Srinivas said, “Even if one homebuyer moves the NCLT, the company can go in for insolvency. That is the intention of bringing them into the creditors fold." However, it would be up to CoC to give homebuyers the status of secured or unsecured creditors, he said. Most provisions of the Ordinance will be prospective, but the reduced percentage of voting in the CoC to approve a resolution plan will be with retrospective effect. The Ordinance says the voting percentage be reduced to a minimum 66 per cent from 75 per cent earlier. Of the 12 cases recommended by the Reserve Bank of India to banks for referral to the NCLT, the retrospective amendment will be applicable to Era Infra. In other cases, the mandated 270 days for insolvency resolution have elapsed. The Department of Financial Services (DFS) differed with the Ministry of Corporate Affairs over the issue of the percentage of votes required in the CoC for approving a resolution plan. While there was agreement that the voting percentage be reduced to 66 per cent from 75 per cent, the DFS wanted the change to be prospective so that present cases are exempted. However, the Ordinance says ongoing cases will be covered by the clause. The downside of the Ordinance, say resolution professionals, is that a successful bidder will need more cash because dissenting voices in the CoC have to be paid the liquidation value in advance. The reduced percentage of votes could increase dissent even if a resolution plan is approved in the CoC. For ordinary decisions in the committee, the approval of at least 51 per cent voters in the CoC is required, says the Ordinance. It adds corporates need approval of three-fourths of shareholders before the resolution process can begin. At present, the IBC does not require a company going in for insolvency resolution to seek shareholders’ approval but its board has to discuss the issue of going to the NCLT, explains Nilesh Sharma, senior partner at Dhir and Dhir Associates. If a company wishes to withdraw an application from the NCLT, it needs 90 per cent shareholder approval. The Ordinance relaxes Section 29A of the IBC - which debars promoters and related parties with bad debts from bidding - for medium and small enterprises. A separate section will be inserted to give effect to this. Aound 70 per cent of all companies fall in this category. Earlier, the government had inserted Section 29A in the IBC to prevent promoters and related parties from taking back insolvent companies. The definition of related party in Section 29A has also been narrowed. The company acquiring a defaulting firm will not be debarred from bidding for three years from the date of the acquisition. The whole purpose of 29A is to ensure undesirable candidates do not bid for stressed assets. We want to create a market for acquiring stressed assets, said Srinivas. "There needs to be adequate competition for stressed assets," he said.